This Tacori pendant necklace is part of The Ivy Lane collection. 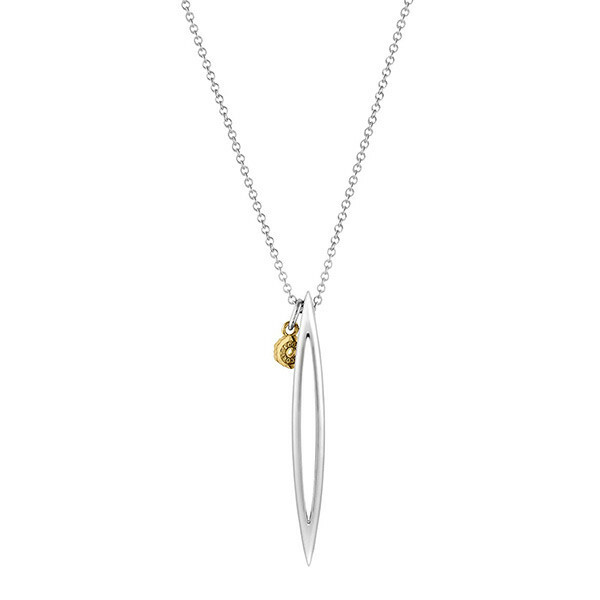 An open marquise shape is forged in sterling silver with the crescent design etched along the edges, and it floats along a link chain. Joining this elegant piece is a small 18kt yellow gold Tacori seal that authenticates this necklace as Tacori. Let this delightful Tacori necklace accent your look with sleek style.